PlayerUnknown’s Battlegrounds (PUBG) is a multiplayer online battle royale. 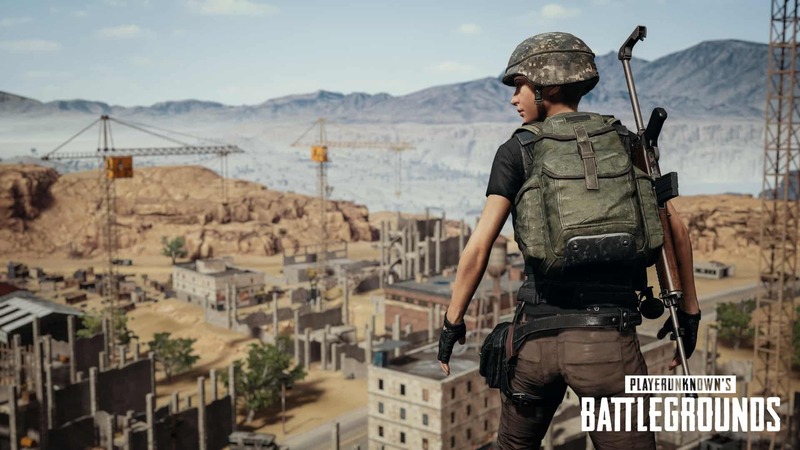 The game was developed by a PUBG Corporation, which is a subsidiary of Korean publisher Bluehole. To be honest it will be wrong to say that PUBG is one of a kind. The reason is very simple because there are thousands and millions of game with a similar concept, that is, Battle Royale. The designer of PUBG, Brendan Greene says that inspiration for creating a game comes from the film Japanese film “Battle Royale”. And many of its concepts are based on the movie, “Hunger Games”, he added this later. PUBG is a like normal game on Steam but with the most number of players. And every gamer knows that it is not a child-play thing to beat the big-bosses of the Steam. And you guessed this right, Counter-Strike: Global Offense and DOTA 2. Yes, PUBG had made it possible. PUBG is being an exception and made it possible. Plus it had more than 5 million copies sold. So, I know many of you are curious about what made this normal shooting game, everyone’s favorite. That why here are some reason behind this game’s success. So, let’s discuss what is gameplay of, ” Battle Royale” is all about. There will be 100 players along with you. You will get on the plane and you have to be dropped on an island. Which seems to be quite logical. After parachuting down from the plane, you have to loot things because you will have nothing in your hand. You have to collect whatever necessary for survival which includes weapons and all the relative accessories. There may be a problem if there are people on the corner of the map and they don’t meet. To avoid this situation, after a few minutes a circle will emerge and you have to be inside the circle. If you are outside the circle, then you will lose your health. This also helps to reduce the number of players. As the player that survive till last will win. The advantages of this gameplay are that the victory is never shared between two players unless you are playing in Duo or in Team of 4. This seems to be stupid but it helps in reducing the player. So your main objective is always gain maximum loot and be last man standing. Playing options can be solo, Duos and Team(4 players in total). Their weapon style was amazing. You have to a weapon with the most accuracy. For example -you have to loot the suppressor, red dot sight, scopes etc. 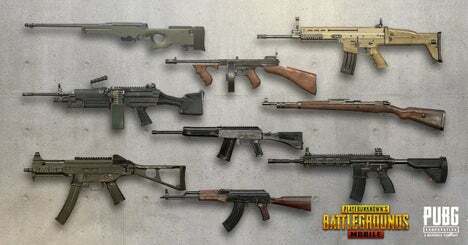 You have to collect weapon of your choice. This made the game so interesting. Grenades are also available and other equipment for guns are also available. But this becomes most interesting when they provide awesome skin and outfit with the little transaction. But trust me its definitely not EA. Many players tried their best to hack the game. This made the game quite like CS: GO (Psssh! CS: GO is full of hackers). There were speed hacks, aimbot and a lot more. On the other hand, there was another problem that is Stream Sniping. It means any player can watch the streamer streaming and knowing his location where they kill him. Soon, this results in losing the interest of streamers. After receiving many complained regarding this Bluehole decided to do something about that. So, in order to eradicate the hackers, they decided to use the anti-cheat system called BattlEye, which automatically bans someone who attempts to use cheats like aimbots or other hacks. And the ban is permanent which is quite strict punishment. After BattlEye, the no.of player banned was 6000 players per day. Which is quite shocking and humorous as well. According to a recent report, data as they have banned 150,000 cheaters which is quite a lot. But there was a huge problem again. Even the people who didn’t cheat got banned because of shooting a streamer and they were banned under stream sniping. Overnight its negative reviews reached its peak. That’s why I would never shoot a streamer. OMG! Wait. How do I know in the middle of the battle if he is a streamer or not? This made PUBG receive lots and lots of negative reviews. So it stepped down from Overwhelmingly positive to Mostly Negative. But it’s sales didn’t stop. People were buying then too and where I was a really shocking moment. It became the game with many negative reviews on steam to be the most played game on steam. After that its reviews became Mixed. They didn’t use any traditional marketing skills. They didn’t have big Titans in the shopping-malls as Titanfall 2 did. Their main strategy was Double dip digital marketing. It means they give the game to lots of streamers for playing on their Twitch and Youtube channel. Since streamers loved that game a lot, it spread among them and then made the other gamers and viewers buy that. This was the best move that made PUBG this successful. Gamers are pretty competitive people. We don’t like to lose. We must beat every game and everyone who plays it. It’s a Batman and Joker kind of relationship. Because of its very nature, PUBG has become one of the most competitive games released in recent times. Dropping in with 99 other players, either alone or squadding up with your buddies, emerging victorious is an achievement. One of the reasons for its popularity can be a lot of people playing is the sheer hilarity that can ensue during a round of PUBG. The map is so large, and there are so many players and things to explore, that something funny is almost bound to happen every time you play. And that’s why everyone keeps going back. Because for all the rage over being sniped from an unknown spot something else will happen that’s a true “WTF” moment that’ll have to laugh everyone’s head off. If you watch almost any of the big PUBG streamers, they’ll come across similar moments. And plus it’s the most played brand new title in 2017. There are still more people playing things like League of Legends or Call of Duty, but on Steam, where PUBG is available exclusively on PC, it’s untouchable right now. And millions have jumped into the Xbox One game preview as well.